Would your business benefit from using Facebook ads? Do you believe Facebook could be a great tool for your business if only you used it right? Facebook seems quite easy to use, but it actually requires some advanced strategy, especially when making heads or tails of Facebook ads. In this post you’ll discover how to set up an advanced Facebook news feed ad campaign in 10 easy steps. People always ask me, “What’s the difference between right-hand column and news feed advertisements on Facebook?” Facebook just announced a new look for ads in the right-hand column to make them bigger. But these ads appear on the side of the page. 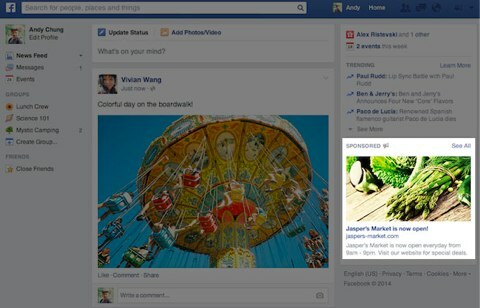 Facebook ads in the right-hand column will get bigger. News feed ads are more visible to your readers because they are in their news feed. They are likely to generate many more qualified leads, as long as your business can find its targeting sweet spot on Facebook. Notice all of the information shared in this ad which appears in the news feed. This sample Facebook ad includes the essential elements of a successful ad: page name, a message, a big image, a title that links to a landing page and a description. 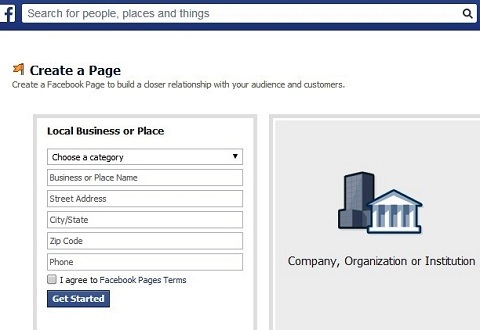 If you haven’t already done so, create a Facebook page for your business. Make sure you can access both your page and ad manager with the same email address. News feed ads are great, but you need to have a page in order to create them, because the ad will appear as a suggested post from a page. 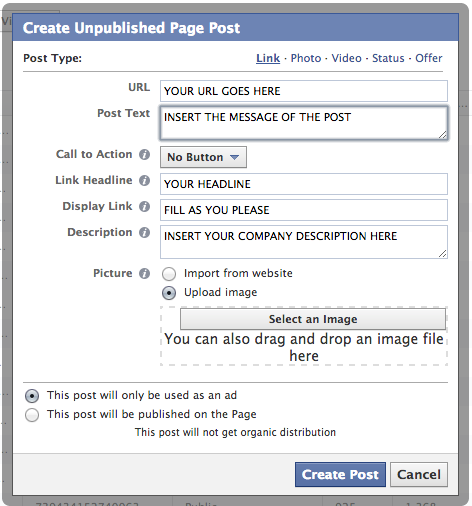 You must have a Facebook business page in order to create news feed ads. You get a much larger ad with a lot of available space for content. You can feature a big image along with your ad. It’s easy to see that managing a page makes it worth the time, especially if you plan to advertise. Before you launch any marketing campaign on Facebook or through other avenues, you must test your elements. And testing just one message or image won’t do the trick. You need to try out multiple ideas to see which gets the most response. Since you don’t know what your audience will like, test both a long and a short post message. Regardless of the length of your post, your message should include the following. The solution: You’re there to offer your readers a solution to their problem, so spell it out. Phone number (optional): Only include your digits if you like phone calls. Share your number and then analyze the quality of calls. Additional information: This is where you include any additional relevant details. Call to action: Invite people to comment, share and/or like your post, as well as subscribe to your newsletter, download a freebie, enter a contest, etc. To get the best visibility, use images that are 600 x 315 pixels. Also, Facebook images can only have 20% text. 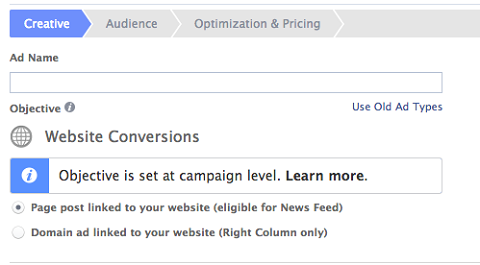 The best way to make sure you’re fitting the 20% requirement is to use the Facebook grid tool. It’ll help you when you first get started until you get used to creating proper images. Don’t be afraid to test a lot of images. They’ll be the core of your marketing plan and the factor that influences click-through rate and conversions the most. After you share your test posts, analyze which ones got the most responses and why. Then choose the combination to use for your Facebook news feed ad. Go to the Power Editor to create your ad. You’ll see a page that looks similar to the screenshot below. Just click on Manage Pages, and select the proper page. Go to Manage Pages in the Power Editor, click the proper page and start your ad. You can now create the posts you’ll be using to advertise. Insert the URL of your page. Fill in the rest of the information with the text and image elements you tested and decided to use. Select This Post Will Be Used as an Ad. Click Create Post to confirm. Just fill in the blanks and create your ad. The nice thing about this step is that these posts will be hidden, so they won’t appear on your page and will ONLY be used for advertising purposes. This way, you can test as many variations as you’d like. This step is fundamental, so you don’t waste time while creating your ads. Find your post IDs in the Manage Page section of your Facebook page and copy them. If you click on top of the ID, you’ll be able to copy them all. Click on top of the post IDs to copy the list. Next, open an Excel file and paste your list there. Save your file for future reference. This naming trick helps a lot while optimizing the account. Assign a name to each ad variation (e.g., Text 1, Text 2, etc.). Assign a name to each image variation (e.g., Image 1, Image 2, etc.). Start your campaign by clicking on the same part of the menu that you used to go to the Manage Page section. Select the appropriate account. If no account shows up, just download. Go back to the Power Editor to create a campaign. Click on Create Campaigns and assign both a name and a budget. Note: This is not available with ad sets. Think about the first audience you would like to target and start the ad creation process by clicking on the ad sets form within the right campaign. Fill in all the info you have for your campaign. 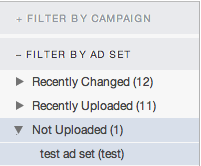 After you start the campaign, click on Ad Sets and select your campaign in the left menu. Then, assign it a name and budget. Select an ad set start and end date or simply check the box Run My Campaign Continuously From the Start Date. Make sure to switch to the Filter by Ad Set part of the editor. Your newly created ad set will be visible in the part of the editor that’s not uploaded. Your newly created ad set will not be finished until you upload it. Click on Ads, and select the ad set you just created. Then click Create Ad. Name the ad based on the ID of the post you are going to use. You’ll also need to select the Facebook page you are going to use and paste your post ID in the section where requested. As you scroll down this section, you’ll be asked to select your placement. 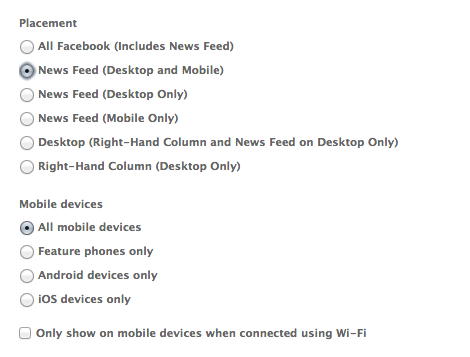 Make sure to choose News Feed (or Desktop and Mobile or whatever fits in your case). Choose your placement, as well as type of device. Go to the audience menu, and then go to optimizing and pricing to finish up. You’ll now be able to select your audience and switch to Optimization and Pricing to set up your bidding strategy. Extra tip: To keep track, name your ad set after your audience! Duplicate the ad you just created to make more ads. Simply replace the post ID so you can leverage the same settings, but still be able to create new tests. Rename the new ad so it matches the post ID name. Duplicate ads to make it easier to create new ones. Compile a list of the additional audiences you would like to target. Create a duplicate of your new ad set and rename it according to your new audience. Look at the ads in the new ad set, select them all and bulk change your audience to the new one. Repeat the process for all of the audiences you want to target. This will give you the chance to find out what target group works best for you, as well as what advertising messages to use. Extra tip: Don’t forget to name the new ad sets after the audience! 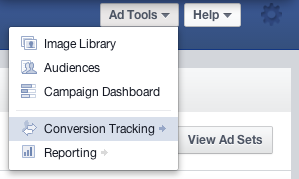 Conversation tracking will help you discover if your ads are doing their job. This will help you find out what is or isn’t working. Statistics will display both in reports and your Ad Manager interface. You’re now finished. You’ve created your campaign using hidden posts and are now ready to launch it. 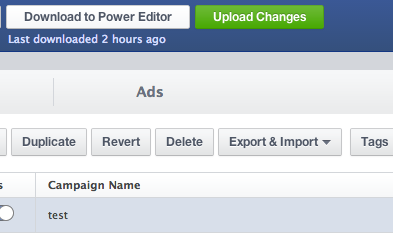 Just select the campaign in the Power Editor interface and click on Upload. Upload changes and your ad is launched! Congrats! You made it! Your ad is live. There’s nothing to do now but see if it works, track your leads and work on future ads. Now that you know how to create Facebook news feed ads, you can use them to test and launch messages that will help you attract and retain clients or customers. Facebook is a great advertising tool, as long as you are using it correctly. News feed ads are extremely effective and you should definitively take advantage of them to get fresh leads for your business. What do you think? 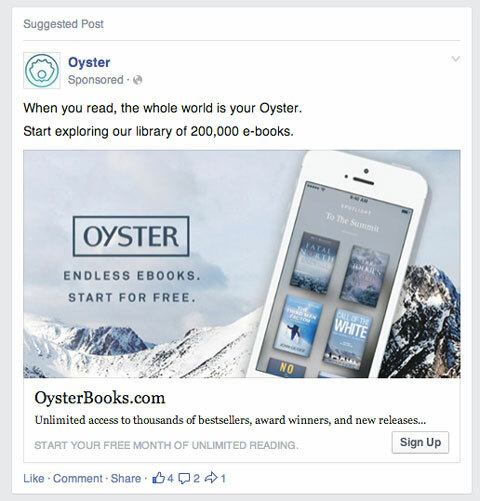 Have you created Facebook news feed ads? How many tests did you do? Which ads worked best? Please share your experience and pictures of your most effective ads in the comments.